Welcome to my weird and wonderful life! I have not had what you would call, a ‘normal’ life so far. Diagnosed with a rare form of bone cancer at sixteen and the receiver of a second hip replacement at the age of twenty six, I have been on a truly unique journey. I set up an awareness campaign called 'Fighting Fit For Ewing’s' (FFFE) in 2013 after receiving news that I would remain on crutches permanently. It was at this point that I decided to take my life back. Too many years had been wasted while I waited to get better. That meeting with my consultant was the kick start that I needed. Three weeks later, Fighting Fit For Ewing's was born. Some of the challenges I have attempted have pushed me to the limit. Each and every experience teaches me something new about myself and because of that I know I will never stop doing what I love. My first challenge took place in October 2013 where I climbed Muckish Mountain, a trek that should have taken two hours but due to poor visibility, ended up taking six. After that climb I was bedbound for hours, my body seized up from over exertion but as I went to sleep that evening I did so with a big smile on my face. Another activity that tested my inner strength was a charity 5k race held in May 2015. I used this race to practice for a Guinness World Record which I travelled to Holland to attempt in June 2016. The title of the record was 'Fastest 5k On Crutches(One Leg, Female)'. I broke the record by over five minutes however due to a delay on the Guinness World Records website I was beaten to the post by one SECOND. You can read the full story here. Climbing numerous mountains in three different countries. Scaling a route of the Sólheimajökull glacier in Iceland and abseiling into a 45 foot ice cave while there. Climbing sea stacks and the Sturrall Ridge. Rally and super car driving. 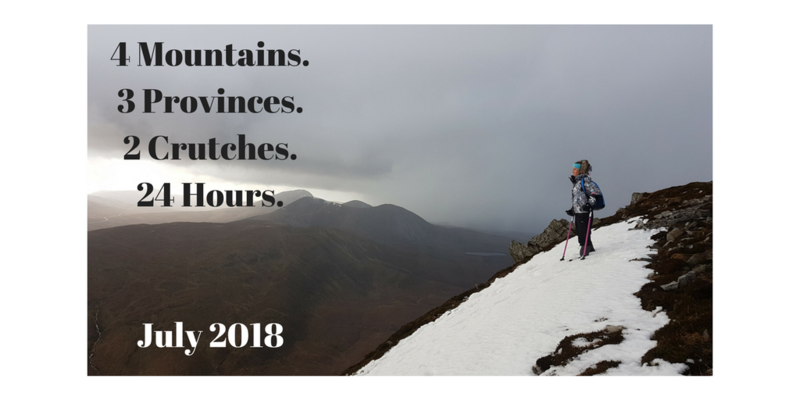 In July 2018, I became the first person to climb FOUR Irish mountain peaks (on crutches) in 32 hours. I was accompanied by climbing legend Iain Miller of Unique Ascent, army sergeant Billy Fanneran and my partner Ian Parke. The mountains climbed were Carrauntoohil in Co. Kerry. Croagh Patrick in Co. Mayo. Slieve Donard in Co. Down and Mount Errigal in the Hills of Donegal. Past activities include writing for The Donegal News. You can read my work here. I was also the 2015 President of Junior Chamber International (JCI) Donegal. 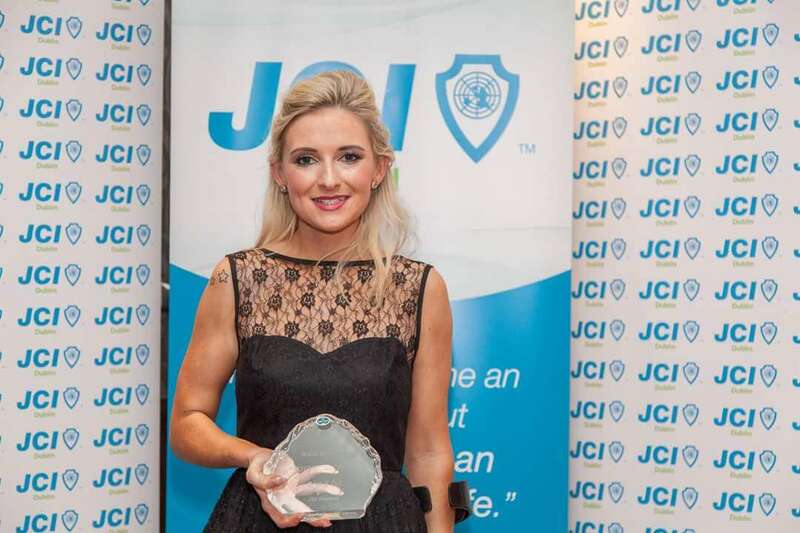 I was delighted to win a national award with JCI and was crowned 'The Most Outstanding New Member' in Ireland. In April 2015 I went on to win the award at European level. The awards ceremony was held in Istanbul and I was over the moon to win! 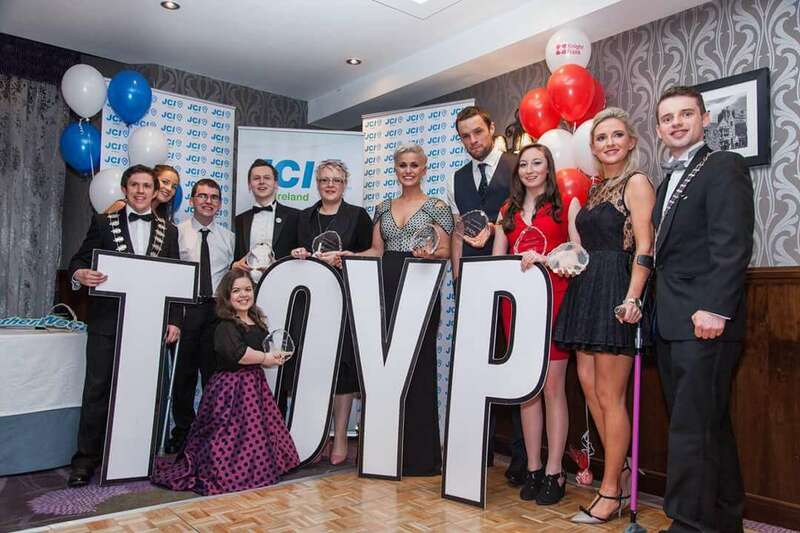 In May 2016 I was crowned one of Ireland's Ten Outstanding Young People at a ceremony that took place in Clontarf Castle in Dublin. Some other winners on the night included Niall Breslin (Bressie) and 2014 Rose of Tralee winner, Maria Walsh. First Woman To Abseil Off Fanad Head Lighthouse. I would love to hear from you so please get in touch by visiting my Contact page.